Play Review: ‘Buffalo Gal' was witty and emotional | Grand Central Magazine | Your Campus. Your Story. 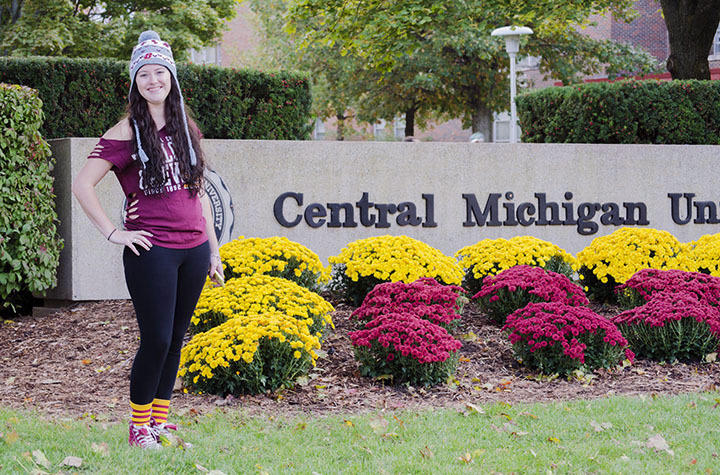 Friday night, I had the opportunity to experience Central Michigan University’s Theater-on-the-Side. “Buffalo Gal,” directed by Steve Berglund and written by A.R. Gurney, is witty, emotional and relatable. Central’s Theater-on-the-Side is a cozy, personal theater that is not advertised enough. Theater-on-the-Side can be found just across the hall from Bush Theatre. It utilizes the same box office as Bush Theatre, and if you were unsure about how to purchase tickets, there were plenty of signs around Moore to direct the audience. It is a decent-sized square room with bleachers set up along the edge. On these bleachers are large comfortable chairs for the audience to sit in. The walls are lined with black curtains, presumably for better sound quality. There isn’t a stage; the performers are on the ground in the middle of the audience. This leads to a more personal performance, but also leaves a limited view. The play is set in present day Buffalo, N.Y. A regional theater is trying to make a bigger name for themselves with their current performance and the return of local Hollywood star Amanda (Kendall Day). The Hollywood diva struggles between picking her normal TV life or going back to her stage, hometown roots. While she is getting settled into Buffalo, her high school sweetheart returns and tries to win her over. The cast was extremely dedicated to their parts, with each one staying to true to character all the way through the play. Alisha Clements plays the part of Debbie, the intern for the theater. Debbie is full of facts and researching her senior thesis; she is the brunt of many jokes. James (Brandon Belin-Jones) is the non-traditional actor in the play. His character is very serious about his acting, and Jones has lots of random lines memorized, even if he is a little stiff. Day is flawless in her performance and never leaves her character. Overall, I loved the play. The characters were down to earth and completely relatable, while crude jokes and family humor came from the stage. The conflicts in the play are ones that every person can relate to and will experience at some point in their life. I sincerely suggest seeing this play. 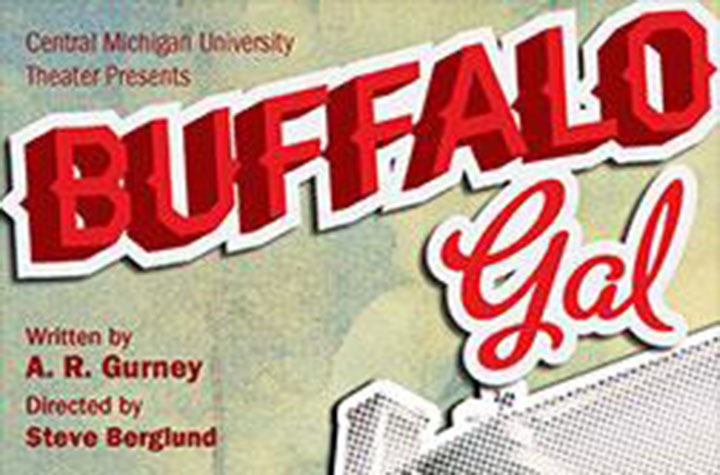 “Buffalo Gal” ran from Oct. 11 through Oct. 13 and Oct. 17 through Oct. 20. The next theatre performance is this semester’s musical, 42nd Street. It will be held Nov. 13-17 in Bush Theatre. Tickets can be purchased prior to showtime through Ticket Central and at the theatre box office the day of. Separator image Posted in Arts & Entertainment, Events and tagged with breanna stadel, Buffalo Gal, bush theater, Central Michigan, play, play review, theater on the side.